There is a sweet spirit in the air during this time of the year. The manger scene is present and the beauty of Christmas lights up the night sky. There is a sense of peace, love, and joy to the world. Mary, a virgin, was living in Galilee of Nazareth and was engaged to be married to Joseph a Jewish carpenter. An angel visited her and explained to her that she would conceive a son by the power of the Holy Spirit. She would carry and give birth to this child and name Him Jesus. At first, Mary was afraid and troubled by the angel’s words. Being a virgin, Mary questioned the angel,” How will this be?” The angel explained that the child would be God’s own Son and, therefore, “nothing is impossible with God.” Humbled and in awe, Mary believed the angel of the Lord and rejoiced in God her Savior. This was and always will be the greatest love of all. 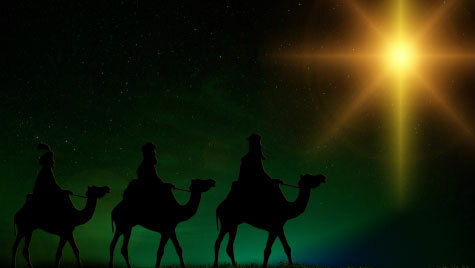 After Christ’s birth, the wise men brought gold, frankincense and myrrh to give to baby Jesus. In the early years of Christianity, the birth of Jesus was not celebrated. In the fourth century, church officials decided to institute the birth of Jesus as a holiday. The bible does not mention the date for His birth although some evidence suggests that the birth of Jesus may have occurred in the spring. In America, the Christmas holiday is celebrated December 25th. No matter what date, time or place the Christmas Holiday is celebrated around the world, we should always remember that “Jesus Is The Reason For The Season.” I would like to wish everyone a Merry Christmas and a Happy New Year!